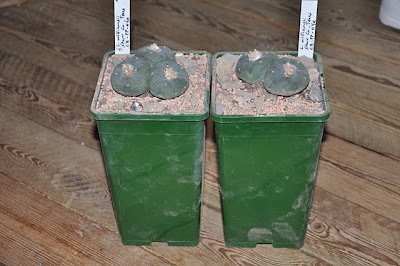 On various occasions I've been asked what growing media I'm using for my cactus plants. I don't have a set soil mix recipe as such – the mix is a continuous work in progress influenced by earlier results combined with input from friends, articles, etc (and sometimes laziness drives me to use whatever ingredients I have readily at hand ;-) Anyway, a few weeks ago I mixed a large batch of growing media and decided to document the details. If you have any comments or suggestions for improvement, please let me know. As mentioned, I'm not religious regarding soil ingredients as long as the mix meets a few simple criteria. 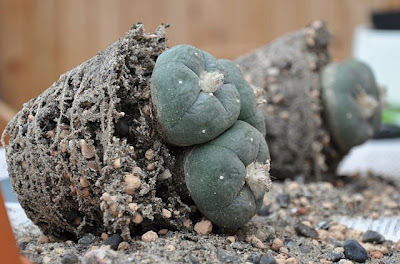 Good drainage and aeration is essential in any growing media used for raising cacti, still the growing media must have adequate moisture retention properties in order not to dry out too fast after you water it. 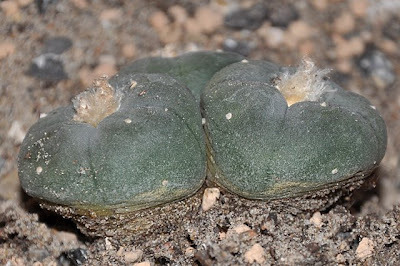 Depending on the type of cacti you are growing you might vary the amount of organic matter (or omit it completely). 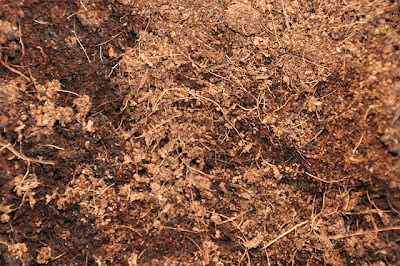 I don't worry too much about nutrients in the soil – if you are using a pure mineral soil you'll have to supply most nutrients via fertilizers anyway. Finally it is also important to tailor the mix to the environment you grow the plants in, i.e. you have to factor in if your pots are clay or plastic, the climate you live in, your water regimen, etc. 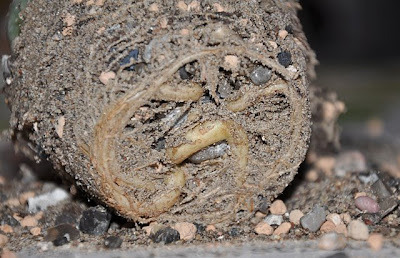 Below you'll find the list of ingredients that I'm currently using for my cactus soil mix. 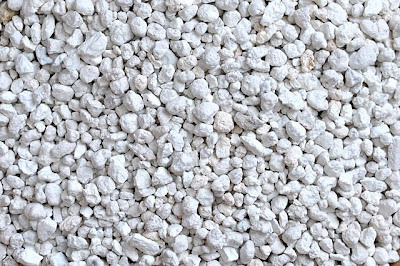 Moler is a naturally occurring mixture of diatomaceous earth (a soft, chalk-like sedimentary rock) and bentonite clay, approximately 60% diatoms and 40% clay. Moler is quarried not too far from where I live, so once in a while I swing by one of the defunct quarries that are open to the public and fill up the car ;-) Instead of moler you could use chunks of granite or whatever rock is available to you – the advantage of moler is that it is very lightweight, but it is probably not very easy to obtain outside of Denmark. 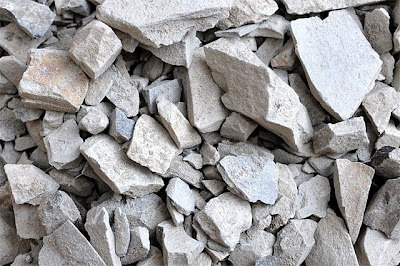 These larger pieces of rock are added to keep the soil open and allow air to get to the roots, furthermore the rock will reduce the volume of water a given amount of soil can hold. 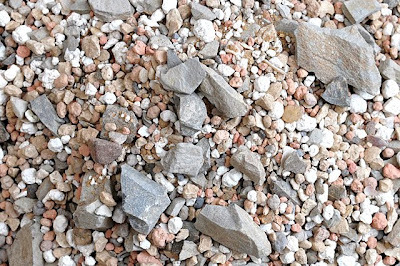 Sharp or coarse sand (grit) should be readily available everywhere (otherwise ask your mason ;-). 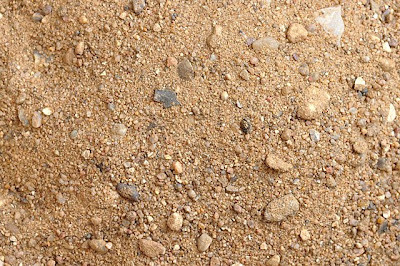 The sand reduces the soil's ability to retain water. It almost goes without saying that the water absorbing and retaining qualities of this product are excellent ;-) Still, this type of cat litter don't feel soaked even when fully wet. 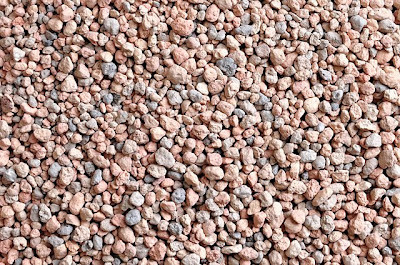 To the best of my knowledge this product is widely available, but watch out for the scented variety – unless you want your plants to smell of cheap perfume ;-) If you can't find this type of cat litter you can try substituting it with crushed brick. I once used small LECA pellets but stopped as they have a tendency to float on top of the soil and also they don't retain much water. Another water absorbent. 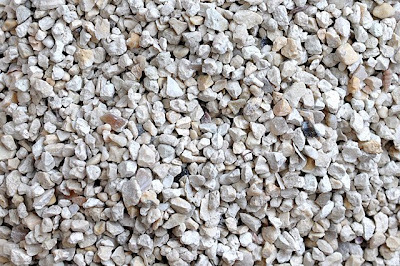 I read somewhere that peyote and Ariocarpus enjoy pellets of clay in their soil, so I decided to try adding some of these bentonite clay granules. 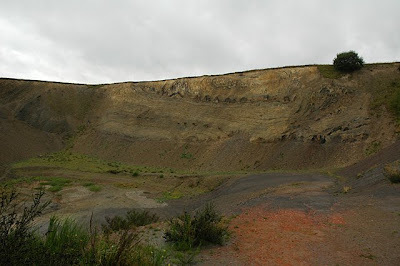 The clay granules do not dissolve when watered, i.e. 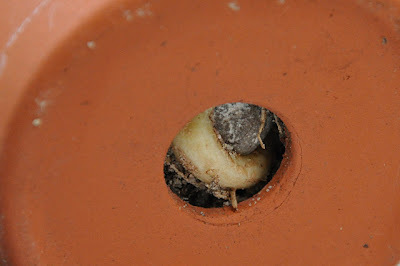 the bottom of the pot will not clog up because of the clay pellets. This is the same mix illustrated in the first photo of the post. Now pretend that I also gave you 500 additional words explaining why this mix, or any other general mix, may or may not kill all of your plants. 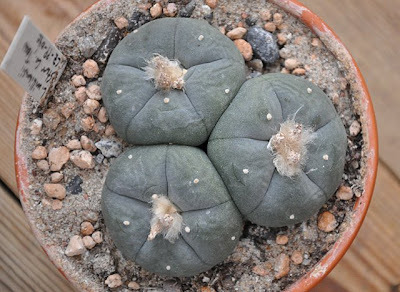 The appropriateness of any mix depends on so many things, like what plants you're growing, what kind of pots you use, the size of your pots, your local climate, whether or not you have a greenhouse or are a windowsill grower, your watering habits, etc. 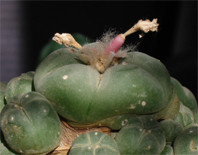 If you are looking for general information on cactus growing the cacti_etc mailing list is a good place to go.